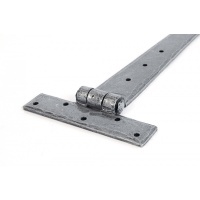 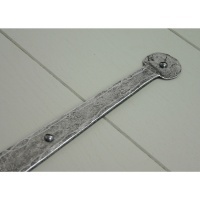 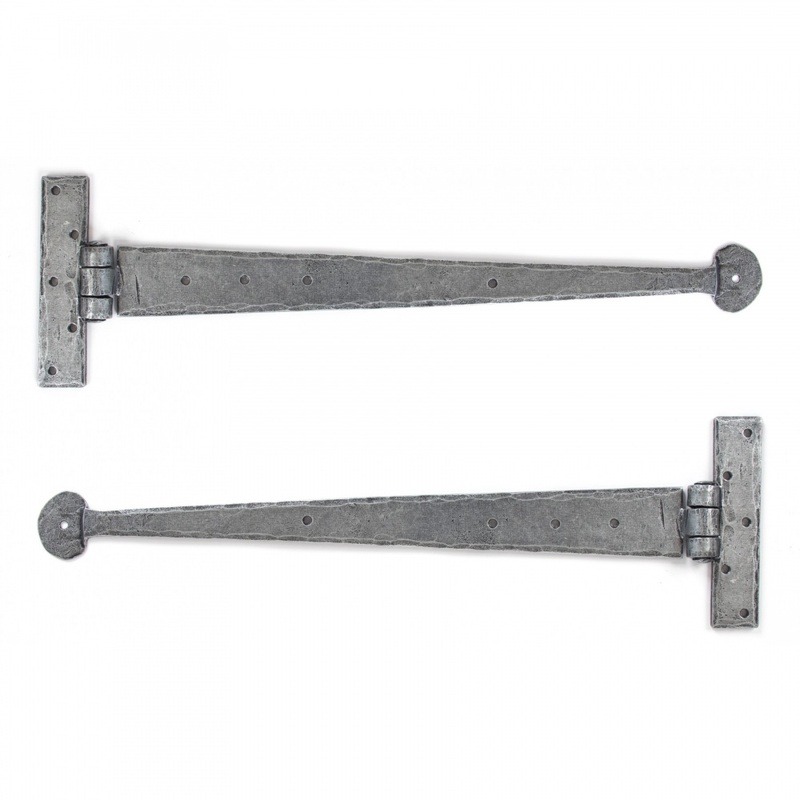 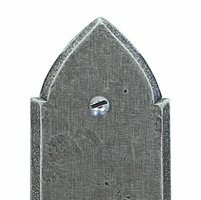 These T Hinges have a 'penny shaped' round end and is one of our most popular choices for hanging ledged and braced/plank doors. 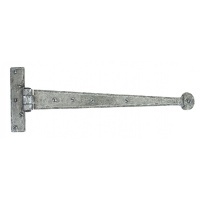 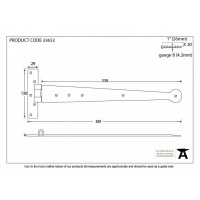 The traditional way of choosing a hinge size means it should reach two thirds of the way across the door but providing it reaches at least half way across it should carry the weight of most doors with no problems. 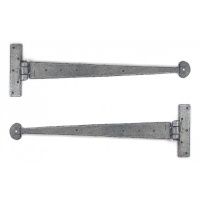 For especially heavy doors a third hinge can be used (three on one door) and these size hinges are suitable for a 2ft to 2ft 3" door.